Kieran has a general dental degree just like your family dentist. In addition to this he has completed an additional 5 years of unique certified specialist training in orthodontics, which allows him to register with the Dental Council of Ireland as a certified specialist orthodontist. This makes him an expert in straightening teeth and improving facial appearance. He has worked in the field of orthodontics for over 10 years, completing thousands of orthodontic cases. Kieran is the only orthodontist in Ireland who holds fellowships in orthodontics with the Royal College of Surgeons Ireland and the prestigious FACE orthodontic institute in Parma, Italy. 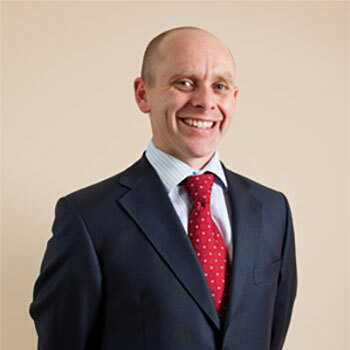 As well as being the Director of orthodontics at Northern Cross Dental, Kieran is an elected member of the board of the Faculty of Dentistry of the Royal College of Surgeons in Ireland. He lectures and examines in orthodontics both here in Ireland and in a number of other countries for the Royal College of Surgeons. The beautiful teeth and amazing straight smile you have always wanted and is designed to last you for the rest of your life. A straight smile that is skillfully designed to protect the long term health of your teeth, gums and jaw joints.